I don't know why I have a tendency to tilt all of their hats to the side. But isn't it cute?!?! This is my new favorite hat. 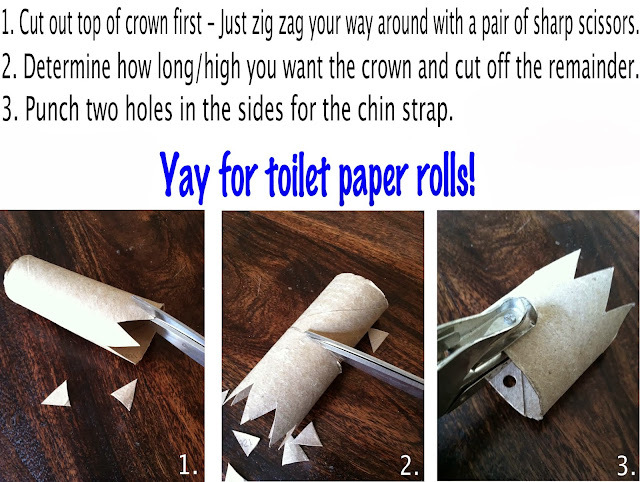 We are clearly on a toilet paper roll "roll." Get it? ha! 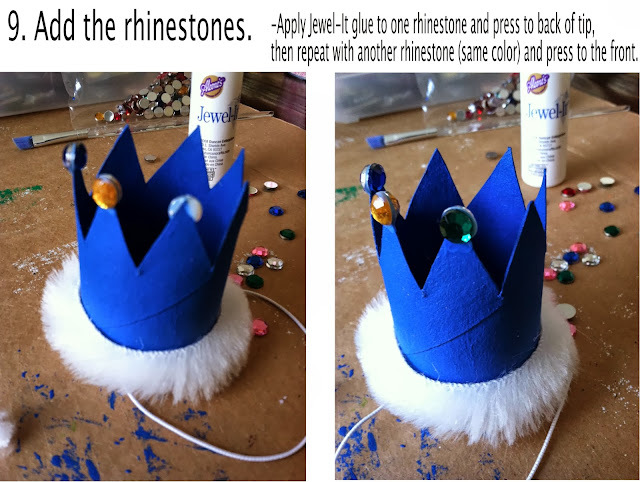 There's so many little hats you can make from a toilet paper roll that there's no stopping us now. This is also a no-sew tutorial, woohoo! Anyone can do it. 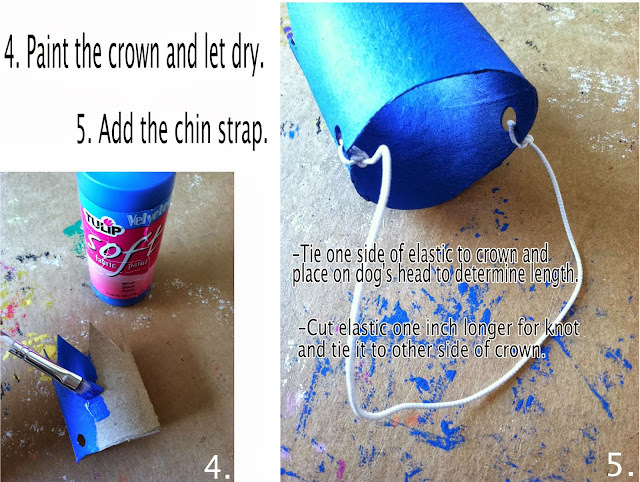 You'll need: One toilet paper roll, scissors, hole punch, blue paint (or pink!!! 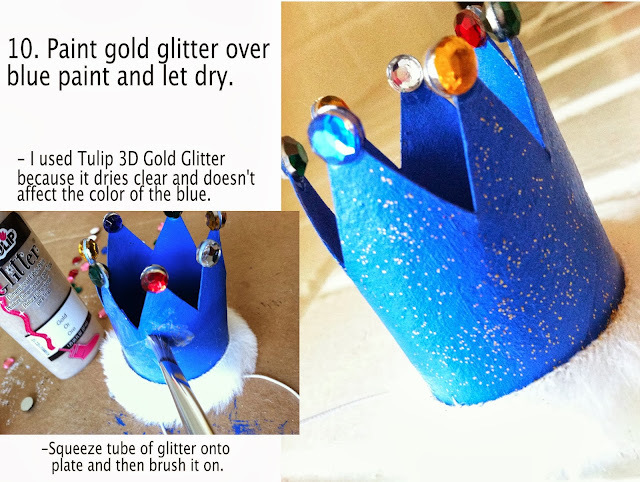 ), paint brush, gold glitter paint, white fur, rhinestones, and glue. 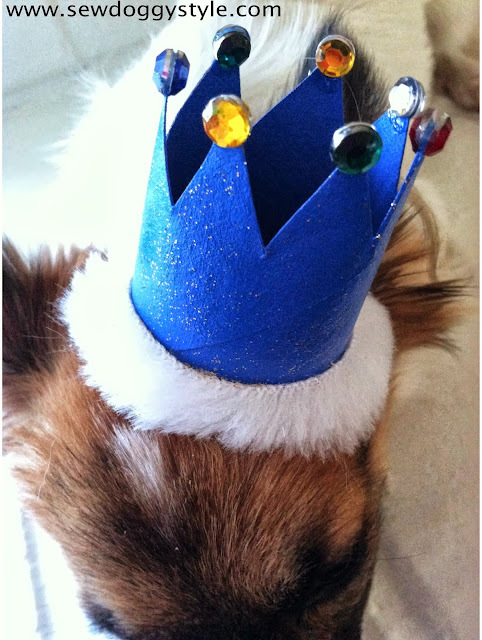 Absolutely a precious King ... and great project for those fur-children who would tolerate dress up accessories! this is the cutest thing ever. i definitely want to try it! thanks for sharing! *SQUEEE* *SQUEEEEEE* this is even better than the sailor hat!!!!! My duck is known as King James. This is PERFECT!!!!! Great idea for my princess Peppy !! Just gave me the idea for a new story with Barbie!!! 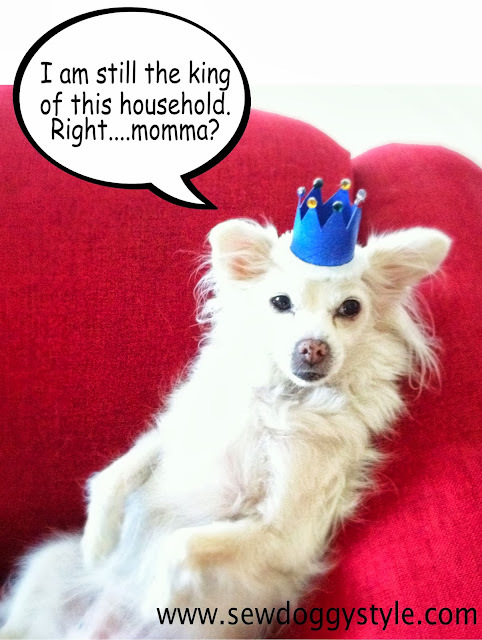 ( She'll crown her!!!!!) Thank you !!! 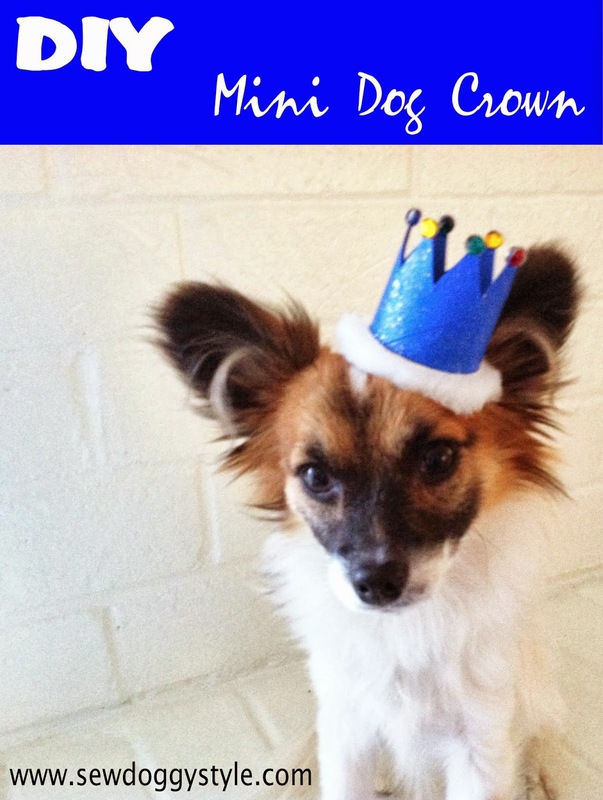 ( Can I reshare your link in my blog?? 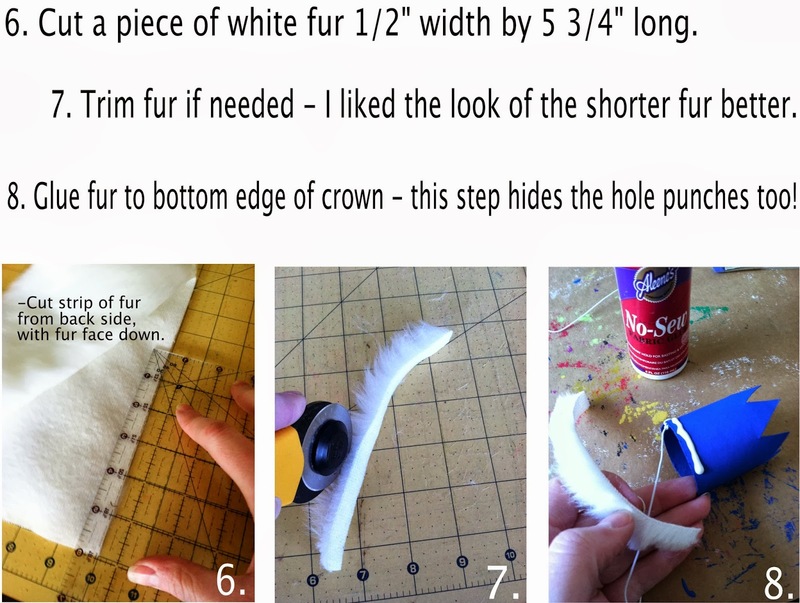 I am so making one of these for charlie!